Instant Car Donation was founded with the goal of bringing donors and local charities together with an efficient and pleasant process. You can focus on deciding which of our respected charities is right for you instead of worrying about difficulties of researching how to make a donation. After your free pickup, we will assist you in recieving the best tax benefit possible for your generous gift. We take pride in helping smaller charities easily receive car donations, bringing people together while helping support those in the Gilbert, Arizona community who need it the most. Here are some of our favorite charities in the Gilbert area. We have made sure each of them are eligible for tax deductions when you help your local community by donating your car. Your values and choice can make a difference. Since 1954, the Boys & Girls Clubs of Greater Scottsdale has provided quality programs to Northeast Valley youth. In that time, more than 100,000 children and teens have been served. Today, more than 18,000 community youth ages 6-18 are served through the organization's nine branches and seven outreach sites located in Scottsdale, Fountain Hills, Salt River Pima-Maricopa Indian Community, Hualapai Indian Community and other Northeast Valley neighborhoods. The Club offers more than 100 quality after-school and summer programs in a positive, safe, supervised environment. Programs offered at the Club are built around five core areas: the arts, character & leadership development; education & career development; health & life skills; and sports, fitness & recreation. Founded in 1977, Childsplay is a professional non-profit theatre company of adult actors, performing for young audiences and families. Childsplay's mission is to create theatre so strikingly original in form, content or both, that it instills in young people an enduring awe, love and respect for the medium, thus preserving imagination and wonder, those hallmarks of childhood which are the keys to the future. In addition to our weekend public performances, we also offer three theatre experiences for our school audiences: field trips, school tours and artist in residence programs. Founded in 1993 by NFL Hall of Famer and Super Bowl MVP Steve Young, Forever Young Foundation serves children facing significant physical, emotional, and financial challenges. Funds raised further our efforts to provide academic, athletic, and therapeutic opportunities currently unavailable to these children. Forever Young Foundation primarily focuses our efforts in Northern California, Arizona, Utah, and Ghana, Africa. The Friends of Public Radio Arizona (FPRAZ) assures the future vitality and excellence of the community's public radio and broadens its support through events, audience awareness and funding. The FPRAZ works in collaboration with Maricopa County Community College District, Rio Salado College, Staff at KJZZ 91.5 and KBAQ 89.5, and Public Radio Partners, Inc. in a coordinated effort to support public radio in Arizona. Make-A-Wish® Arizona grants the wishes of Arizona children with life-threatening medical conditions to enrich the human experience with hope, strength and joy. Make-A-Wish Arizona is the founding Make-A-Wish® chapter, starting in Phoenix in 1980 with one little boy's wish to be a police officer. From these humble beginnings, Make-A-Wish was born. Make-A-Wish Arizona grants wishes to children who have been diagnosed by their doctor or medical physician as having a life-threatening medical condition and who are between 2 1/2 - 18 years of age at the time of referral. Each year, Make-A-Wish Arizona grants approximately 380 wishes to Arizona children and has granted more than 5,500 wishes to date (Spring 2017). Make-A-Wish Arizona's vision is to grant the wish of every eligible Arizona child. Studies have shown that wishes help children feel stronger, happier, and more willing to battle their illness. The Sun Devil Club is a community owned organization focused on the funding and support of Sun Devil Athletics. These funds will be used by the Arizona State University athletic department with a financial goal of reaching and maintaining a budget that is in the top 15 nationally. The Sun Devil Club will also use this money in outreach efforts to strengthen youth athletics in our community. Established in 1983, United Food Bank began operation in Mesa, Arizona. Our mission is to provide access to nutritious food for those who are without, serving as a community bridge between those who want to help and those who are in need. United Food Bank defines its work as neighbors helping neighbors. We provide hunger relief/food assistance by collecting, acquiring, storing and distributing food and related commodities through a network of partner social services agencies in our service area: eastern Maricopa County, Gila & Pinal Counties and southern Apache & Navajo Counties. Car donations are the most accountable method for folks to create a large charitable donation. Due to this, one of their primary aims is to empower those making a benevolent decision by ensuring that the automobile goes to the charity which reflects their values. We make charity choice an essential part of the procedure, when donating with us. We could do that if you need us to decide which charity would be helped the most. It is important to Instant Car Donation that you get the allowable tax deduction advantage without having to navigate complexities or execute research, possible. We all of our participating 501-3C non-profit charities to verify your donation would be tax deductible. The process will be streamlined to both you and the charity of your choice. We'll provide you after your donation with a 1098-C tax form. There are lots of charities, such as United Food Bank, in the regional Gilbert, Arizona area which could benefit from your automobile, such as a Suzuki XL7, donation. We not only help you contribute to a nearby charity, but we also focus on supplying an easy way to small to take donations so that they can focus on their work that is important. Often the donation is likely to make the biggest difference for charities, bringing together people while helping to support those in their Gilbert, Arizona community who need it the most. Aside from the charitable tax deduction and not with the hassle of dealing with an older automobile, the feeling of being able to assist those in need may be the very best reason to donate your car, like your Lexus LX 570, to a charity, such as United Food Bank. Another benefit of donating a used auto to charity would be the opportunity to just get rid of the automobile without having to try to fix or sell it. Most charitable vehicle donation programs will anyhow vehicles if they're operating in need of repair. Some trucks or cars that are beyond repair will be sold for parts or waste and any money received will go to the charity. When you opt to generate a donation of a used vehicle, such as a Mitsubishi 3000 GT Spyder,, when the charity sells the vehicle, like your Acura ZDX, for over $500 they have to send you a receipt which lets you subtract the sales cost of the automobile, like a Cadillac Escalade ESV, in your own tax return. If the older car you opted to donate isn't worth at least 500 USD, then the IRS allows you to ascertain the reasonable market value. This is the value that somebody would be ready to buy the vehicle, like a Hyundai Accent, if buying it from you. So as to receive the tax deduction, then you'll need to itemize your deductions on your tax return. You receive the tax benefit, along with the charity gets to use the car, such as your Strother Welding Strother Welding, sells it and uses the proceeds for the benefit of the charity. That is a wonderful thing for everybody involved. Car donation programs have become popular in Arizona over the last decade or so, as more charities are searching for new and creative approaches to create funds. These days, the number of charitable car donation programs numbers in the hundreds or even tens of thousands. If you've got a favorite Gilbert charity you prefer to make donations to, it is probably possible for that charity to get at least a part of the funds when you give your used automobile. Charitable car donation programs enable you to donate your secondhand car to the charity of your choice. Visit our charities page to find a charity in Arizona to contribute to. Most used car donation programs will either sell your vehicle to increase funds for your cause, utilize the automobile in the daily operations of the organization, or give the vehicle to a someone who needs help either at no cost, or for under the average market value. While there are numerous benefits to charities that receive donations from people, the advantages to the you, the donor might not be as clear. The biggest benefit that the majority of men and women hear about is your opportunity for a tax deduction. This usually means that the resale value of the donated vehicle may be written off in your own tax return. There are a few limitations on this kind of deduction, so you could choose to speak with a tax professional before making the donation. Is there a financial tax deduction for donating my vehicle in Arizona? We can guarantee your vehicle belongs to some charity, like United Food Bank, that's eligible assist you recieve a reciept on the donation and for tax deductible contributions. You might be able to find a tax benefit for your vehicle 18, should you itemize your deductions. For contributions up to $500 you're able to use Kelley Blue Book and also for larger contributions the non-profit organization must verify what they recieved for the car donation (more info). How will my car be delivered to the Gilbert non-profit organization? 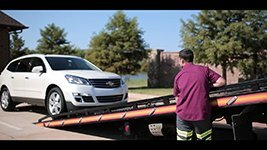 We'll arrange a tow truck to come get your car and deliver it for you. It could not be easier now, to help your non-profit organization of your choice! Do you take donations for cars which are missing or damaged parts? We take cars and trucks in all conditions! Go to the form and submit your request to contribute, and our Gilbert team will see what we can do for you. Would you help me find a charity that fits my principals? We would like to help you make sure that your donation goes to your cause in Gilbert you care personally about by assisting you to choose a charity that satisfies with your own values. It is so important to us we do it every single time you donate with us! What non-profit organizations do you support in Gilbert? Instant Car Donation proudly supports many respected local & national Gilbert organizations that are nonprofit in the area. Our Gilbert team works with dedictation for you to make sure support is recieved by the organizaion for your car or truck. How do I prepare my Arizona DMV documentation? All owners around the title must finish the part of the car title labeled "assignment of title by owner" or "transfer of ownership by seller". The majority of states require registering and printing owner names. You need to fill out any fields that require information concerning a buyer/purchaser/transferee with info. You might find detailed directions here. Will this be finished quickly? First we'll get in touch with the charity, like Forever Young Foundation, of your choice (or pick one for you whether you requested that instead) to make sure they need your vehicle, such as a Mercedes-Benz ML-Class, which takes about one business day. Wewill arrange to come for easy pickup. If it is taking a little longer feel free to get in touch with us. Have you ever thought about donating your car to a charity? It might perhaps not be as simple as you might think. Most charities, such as for instance United Food Bank in Gilbert, Arizona are not equipped to manage car contributions, since it takes them to hire staff to take in the car, appraise it, sell it, and do most of the paper work and accounting. By the time this procedure is finished, the actual monetary contribution to the non profit could be very small after paying for all the overhead. Let's in instantcardonation.com help. We make it very simple for practically any local charity, such as for instance United Food Bank in Gilbert, Arizona to possess their particular vehicle donation application because we expel all the hassle. Every time a nonprofit, such as United Food Bank at Gilbert, Arizona partners with Instant Automobile Donation, they receive a full sized vehicle donation system. We take care of all and can simply give your charity a donation assessed with all the essential paperwork done from the intake and sale of each vehicle. Our process is simple. We'll take any vehicle, such as Mclaren P12. Just complete an intake form. Then, we'll contact you to verify your auto donation. Next, we'll send a tow truck to pick up your car within two days. From there, we treat everything. We'll fix up the vehicle and sell it to your maximum value, in order for your donation is going to soon be maximized, or if it really isn't worth fixing up we'll sell it as is. It is a Win Win. The headache of having their own automobile donation program is not always well worth it for local charities, but if individuals be mindful of most the heavy lifting, then it is a excellent source of fundraising for non profits. We help can help local charities like United Food Bank from Gilbert, Arizona and larger charities such as Greater Newark Conservancy. By way of instance, your donation might help Forever Young Foundation from Gilbert, Arizona to further their assignment. This type of fund raising service allows charities like Forever Young Foundation from Gilbert, Arizona to focus on their energy and time on what they are best in: helping others. If you get a neighborhood charity, then like United Food Bank at Gilbert, Arizona you'd love to help and have an automobile, just like a Honda Odyssey to donate, then simply fill in and ingestion today and we will make certain that you can earn the most out of your contribution. Moreover, if you never see your favorite charity on the website, then don't hesitate to send our site information into the charity and ask that they join our app. Alternatively, you may reach out to us in info@instantcardonation.org and we'll get in touch with your charity of choice to find out if they'd like to have their particular vehicle donation program that is completely managed with people. Spread the word and make your favourite local non profit, Forever Young Foundation at Gilbert, Arizona want to maximize their own fundraising and reach their goals with their very own car donation program! Is car donation only for clunkers? Many people think car donation is only to get older cars that do not run out of the driveway. This is simply not correct. Many people donate attractively re conditioned cars that they've been taking great care of. Also, did you know many vehicle collectors donate their vehicles to charities every year? As an example, actress Sharon Stone was collecting antique cars within the past 21 years and has donated seven of the trackable cars to charities. Donations like this can help non-profit organizations to help people in need, to feed the less fortunate, to teach youngsters, to provide afterschool programs, to provide clothing to displaced folks, to help creatures and lots of other beneficial deeds. Ofcourse you're able to donate some car, like a Alan Autosports Race Edition, or perhaps a Nina 4 Door Sedan, but exactly what exactly makes Instant Car Donation exceptional is that we let you pick a local charity such as Forever Young Foundation or Forever Young Foundation from Gilbert, Arizona, in order for your donation can help your regional community. Many automobile donation programs just permit you to contribute to a single organization as they're usually hired specifically by this charity because their designated vehicle donation provider. We are very different. Charities not hire us. This also makes it possible for us to help hundreds of charities across the country like San Francisco Parks Alliance and Hawaiian Islands Ministries. However, our distinctive power to help local charities such as United Food Bank and Forever Young Foundation in Gilbert, Arizona, is our specialization. He contributed two vehicles worth $350,000 to help charitable causes. His cars were a first 1970 Plymouth Hemi Cuda and a 1968, 350 horsepower Chevrolet Corvette convertible, were absolutely maybe not junkers! Would you know someone? Why don't you ask them if they'd want to donate it to help a local charity like United Food Bank at Gilbert, Arizona or even YMCA of Greenville? It may be any car, like being a EV Innovations 4 Door Wave Truck or even a Suzuki Reno! The options are endless. Have you been considering donating a car in Gilbert, such as a Nina 4 Door Sedan, however wondering what impact this may have for the charity of your choice? If so, read on to see how your car donation in Gilbert could be a real difference and influence on small and medium-sized charities like United Food Bank on your area. One of the biggest challenges for smaller businesses with a few or no paid employees is the best way to boost their funding and avoiding volunteer burn-out. United Food Bank in Gilbert, Arizona, is a nonprofit. Forever Young Foundation's mission is performed by lots of volunteers. Because nearly all work is carried out by volunteers, then the charity's projects are performed by volunteer employees, many of who lack skills which the non-profit needs to flourish. In fact, many times that the particulars of fundraising efforts are determined based on who's available to take them out, instead of what would be the very best way to fundraise. If a tiny nonprofit like United Food Bank be in a position to receive a car donation, such as a Scion xA? We believe so! But what about all the logistical support, money and time that is required to arrange the tow truck and also the sale of your donated car at an auction? It appears improbable that a charity like this would really be able to take on promoting your preferred car, even when you chose to donate it to them. That's where we come in. We associate with every non-profit who wishes to receive a auto donation, like United Food Bank, and offer our experience and help in calculating the auto donation. Then we be sure the charity gets the maximum donation it could receive so it can increase its operating funding and finance new and current programs. Your car donation could be worth several hundred or even a few thousand dollars or more, depending on the car that you donate. Even though it may not seem like a lot of cash, it's an unplanned windfall for a small or high-income charity like Forever Young Foundation. Still contemplating donating your car to a charity at Gilbert? We can assist! Simply click the contribute button and then let us know that you are, and we're going to arrange your free pick up and to sell your car. We'll also contact the charity of your choosing, and make sure that they get the funds they need to continue their great and important work in our community community. Have you got a vehicle, like a Nina 4 Door Sedan, simply sitting in your garage or in your driveway that you've been intending to eliminate? Many of us are willing to depart an unnecessary automobile sitting in our garage or our driveway for years without spending the time or money to repair it. So that car sits, and sits and stays. Let us be honest. Are we likely to put in cash and the time to fix this car? If we had been, wouldn't we've done it already? Not only is this older automobile an eyesore, but we're also missing out on the chance to use this valuable resource to enable a charity such as Botanical Research Institute of Texas! 1 man's junk is another person's treasure, so the saying goes. This is surely true with car donations. A car, such as a Electric Mobile Cars Electric Mobile Cars, that is unnecessary by you might provide just the correct amount of financing to a charity at Gilbert or outside to fulfill its funding to get a present or future project. When you donate your car, you are giving a valuable treasure to a charity, because your contribution helps them to continue their work in the community. Forever Young Foundation in Gilbert, Arizona is such a nonprofit. Its call to action is directly supported by your contribution--you can assist the charity of your own choice, such as United Food Bank, to expand the breadth and reach of their good actions from the neighborhood! We pride ourselves in helping you convert your unwanted auto to actual treasure! Click on the donate button now to begin the process. After you tell us which you are prepared to donate your car, we will arrange for a free pickup in Gilbert or the regional area and sell your vehicle. All you want to do is let us know which respected charity matches the phone of your own heart, and we'll do the rest. The very best part is that should you receive the benefit of clearing out old, unnecessary junk, you also get to offer funding to the charity of your choice, like Serge, and finally, you get the most tax advantage for your donation. We'll supply you with a tax receipt for the contribution, and make sure that the charity of your choice receives the contribution in addition to the necessary IRS paperwork to take your contribution.